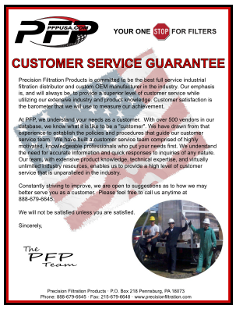 Have you ever needed to purify hydraulic oil to a specific cleanliness range? 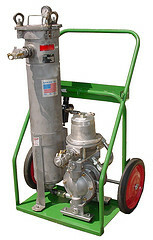 We were recently contacted by a liquids product terminal operating company that was looking for a portable filter cart for filtering 1,824 SSU gear oil. The terminal company was looking for something rugged and heavy-duty in order to withstand their industrial operating environment. After reviewing the application and target cleanliness goals of 17/15/12, I suggested that they use our popular SFC (spin-on filter cart). After reviewing bids by other manufacturers, they chose to purchase our 5-GPM model. 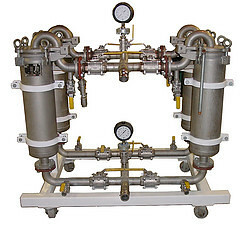 After several weeks in operation, the customer is very satisfied with their filtration equipment. Their target ISO cleanliness codes are being reached with our spin-on filter elements, well within their specifications. The operators are pleased with the cart construction as well. 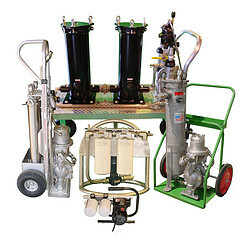 Some of the particular features of the filter cart that appealed to the operators include the sample ports, the strong aluminum construction, the no-flat pneumatic tires, and the differential indicators on each filter head.